18 years later, the bag still looks great. it feels weird to say that the bag is a comfort to me, but it is. i can’t explain it. but it’s the bag i reach for when i don’t know what else to use. i’ve obtained a lot of bags since i bought this, but its definitely in my top 10. maybe even top 5. we’ll see as the days go on. i think i paid something like $49 for it, which was not my usual m. o. but i fell in love with the leather and thought it would be a good investment. buying it taught me that it’s worth it to pay for quality. 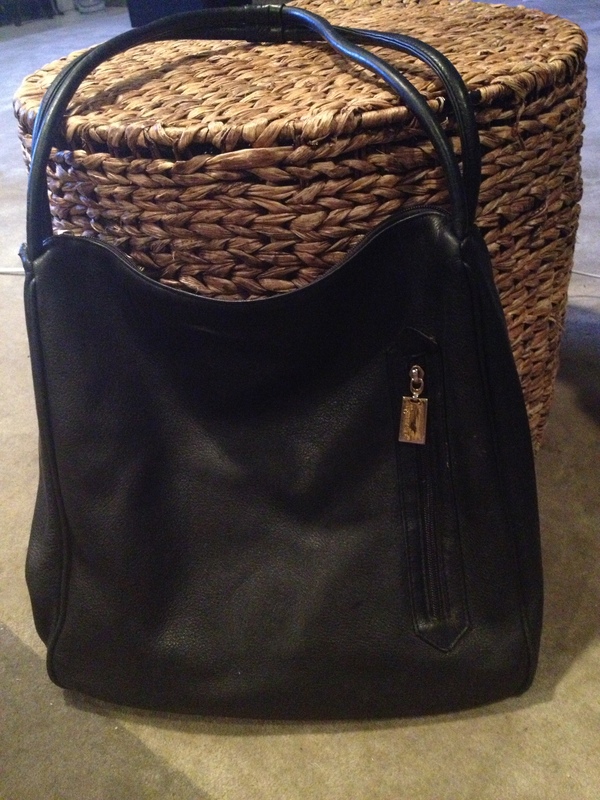 it’s even more worth it to buy quality bags at thrift store prices! hence, the quest continues. 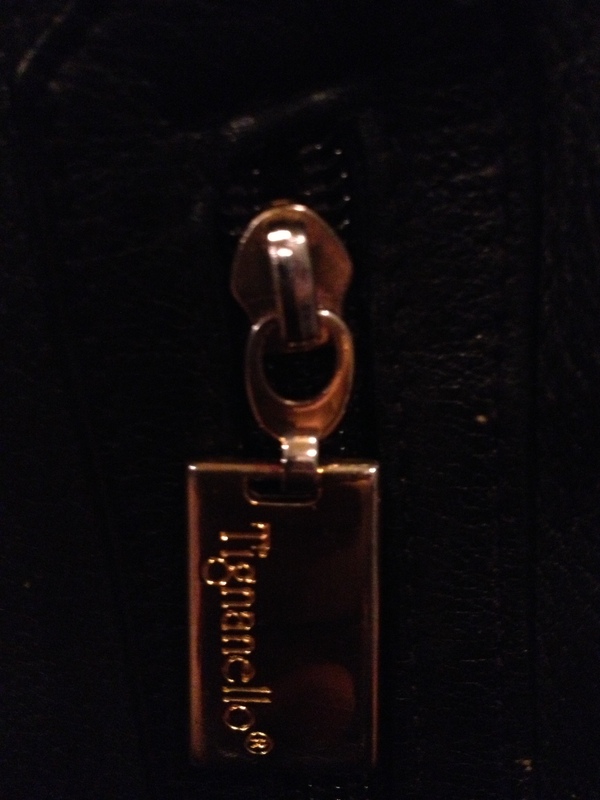 This entry was posted in tj maxx and tagged black, Diaper bag, hobo, Leather, Luggage and Bags, pebbled leather, Shopping, tignanello, tj maxx, Water bottle on April 8, 2013 by miriamgmck.